With the growing advancement in every sector, online learning has become as one of the most accepted learning trends around the globe. The video-based learning has acquired the best way of gaining an education and knowledge, thus proves to be the most dominating and effective method of learning. A student can get knowledge and can join simple courses and modules by watching explainer videos. With the growing advancement, video conferencing, leaderboards integration, video-based learning is growing deeper and acquiring a great place in eLearning marketplace. Video-Based eLearning, the widely accepted eLearning trend, is gaining momentum like never before. Now, what makes it trendy is its shorter, crispier and engaging nature – changing the way how people learn. Gamification, Scenario-based eLearning along with Video-Based Learning could be the right approach to bid adieu to so-called “Click Next” – traditional eLearning. Why Should We Choose Video-Based Learning? Content Engagement: With the growing advancement there is also a drastic change in user behavior. A maximum number of user likes visual content rather than reading blogs and articles. On the contrary, people are found to be more engaged in listening to audio-visual content rather than focusing on descriptive textual content. Microlearning: It helps the learning and development team to deliver a small fragment of courses in small bytes of content. 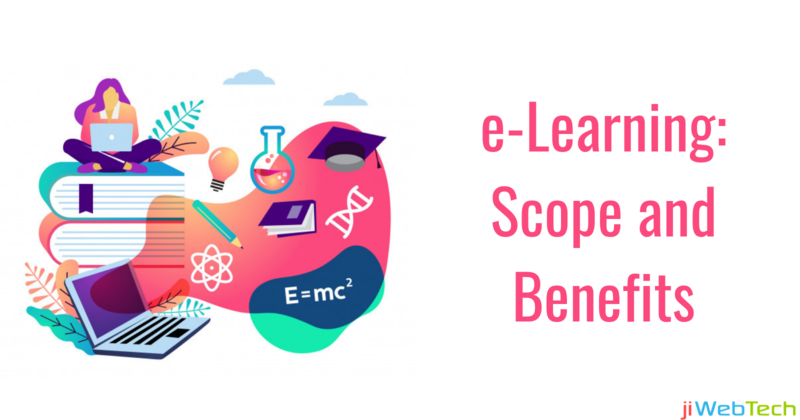 This type of microlearning not only enhances user interest but also reduces time and efforts employed in the development of a long session of courses. Social Learning: Various social learning platform like YouTube, Dailymotion, Facebook, Slideshare, etc has made learning and grabbing knowledge easy and convenient. Training & Development: One can prepare and develop a video content on-demand of the learners. Thus it helps to incorporate training and is a better way to meet the changing needs of the employees. Live Session: Also, with platforms like Skype, it is now possible to deliver lessons to people at another corner of the world. It makes it easy for the learner to communicate directly and can also record sessions to use for later references. Flipped Classroom: Preparing short demo sessions at the beginning of the training session summarize the content structure and help the viewers to understand the course in a better way. Instructor-Led Training: Delivering live sessions or lessons is not the whole solution. To make the video sessions more effective it is important for an instructor to evaluate the learner's skills and modifying the session according to their need and understanding. Mobile Learning: The unrestricted use of mobile phones in many places has made it possible for the businesses and institute to gain and learn content easily from any location even while traveling. AR and VR: Implementation of AR and VR technology in learning and development is the next big innovation in delivering visual content. It uses 3D background technology for the development and enhancement of learning through video channels. This not only increases the engagement rate of the learner but also enhances the practical awareness through an artificial world. With these tips, you’re empowered to offer the most enriching and engaging videos to your members and learners and give them an unforgettable learning experience. To learn more about how jiWebTech can help you deliver video-based learning and boost your association’s membership.